As a born and raised Pennsylvanian, I had never actually left the United States by the time I was 19 years old. Itching to explore the world, I jumped at the opportunity to join the ETHOS Center for the summer of 2017. 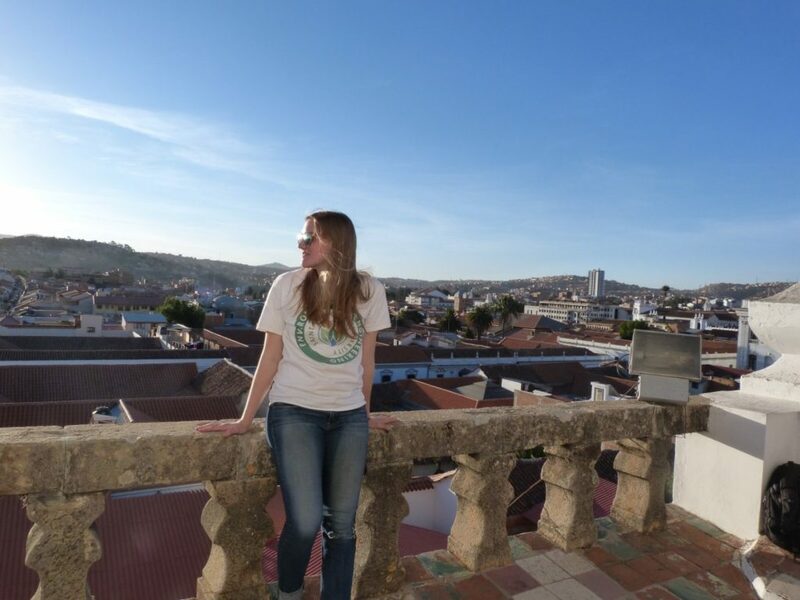 Since I am a rising junior at Saint Francis University studying environmental engineering, I found myself placed with Sustainable Bolivia and, consequently, my volunteer organization SODIS, in Cochabamba, Bolivia. My assignment: continue the “Spirulina en Cochabamba” project that another volunteer, Lucas Mackie, began in 2016 (see the blog titled “Combating malnutrition with Spirulina”). Declared by the United Nations as an acceptable food to administer to 3rd world countries to combat malnutrition and accepted by NASA as an option for extended space expeditions, this tiny algae offers more than meets the eye. Spirulina is packed with 3 times more protein than meat, 50 times more iron than spinach, and a variety of necessary vitamins and anti-oxidants in relative amounts. SODIS has recognized these natural, nutritional benefits as a means to combat malnutrition and decided to pursue the production of Spirulina in Cochabamba. While SODIS primarily works with water quality and, more specifically, the production and distribution of water filters, the non-profit organization aims to expand its reach through this new project with Spirulina. Lucas Mackie worked to find the best location, care and maintenance techniques, and media recipe through a series of experiments for six months before I arrived in late May of 2017 to advance the project. 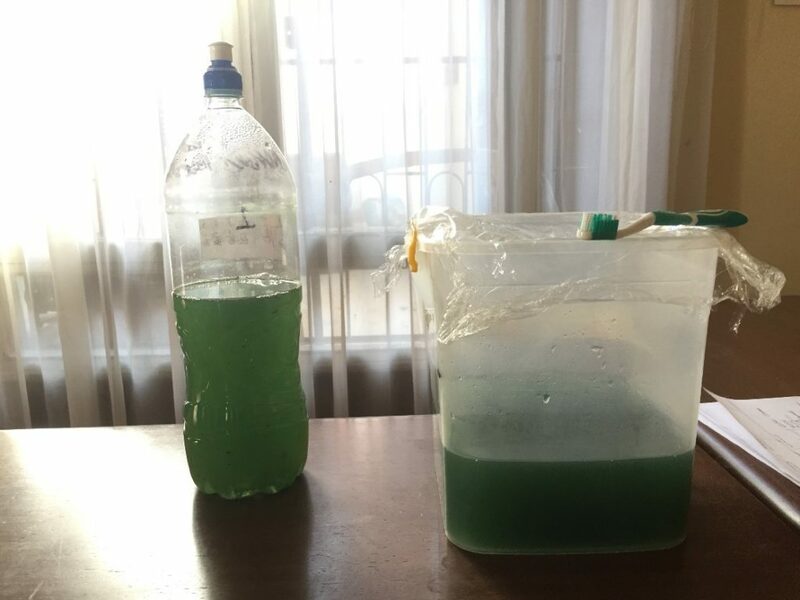 The available Spirulina culture was ready to enter the next stages of experimentation to which I committed ten weeks. After submitting a successful application, I received a $497 (USD) grant from Sustainable Bolivia in order to complete this expansion. 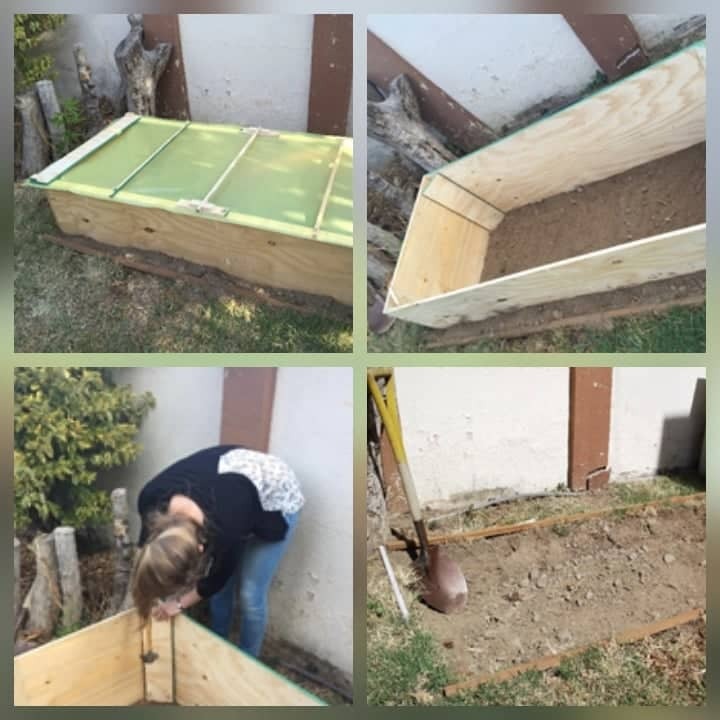 The funds were used to buy the various instruments necessary for data collection, materials to construct the pond and its cover, and the chemicals involved in the algae media and fertilizer. To begin the expansion project, I finished digging a 2 X 1 X 0.3 m hole in the yard of the main office where the previous experiment dubbed most practical. Around the same time, I began to search for the materials I needed to build the walls of the pond according to Lucas’s designs. When I found the various materials, I marked the exact location and produced a document with the compiled coordinates for future volunteers to reference. Thus began the construction of both the pond and the pond cover. After a few weeks, I received the 1.5 L backup culture in order to familiarize myself with the proper management techniques and the algae itself. After a week, I mixed the appropriate chemicals with filtered water from SODIS to begin the doubling process. Spirulina should not be increased more than double its original quantity; a number of expansions are necessary to reach the >400 L goal. Weather data, visual observations, and scientific measurements were recorded throughout the span of the project. The next phase of the project will conclude the doubling process of the spirulina to achieve the 400 L goal as well as the construction of the pond, including installing the geomembrane. Constant maintenance and care of the spirulina culture is necessary towards the success of the project. Once the pond is established, the spirulina will be harvested at regular intervals as long as the culture is healthy. From there, the future of the project is rather open ended. SODIS may distribute the spirulina to schools or even the open market in Cochabamba, as the city offers many possibilities. As a volunteer, I gained invaluable experiences and skills from this unique opportunity. I am humbled and appreciative to have worked for an NGO, and I am forever grateful to have been a part of the community at Sustainable Bolivia. I made lifelong friends and the memories we shared will stay with me forever.